Happy Cinco de Mayo! I know you all are probably out celebrating with some margaritas and a little Taco Tuesday action at your favorite Mexican restaurant, but I thought I would share this AWESOME Slow-Cooker Pork Carnitas recipe that my mom made over the weekend! I saw the recipe in Taste of Home magazine, and she decided to make it for our Sunday dinner. 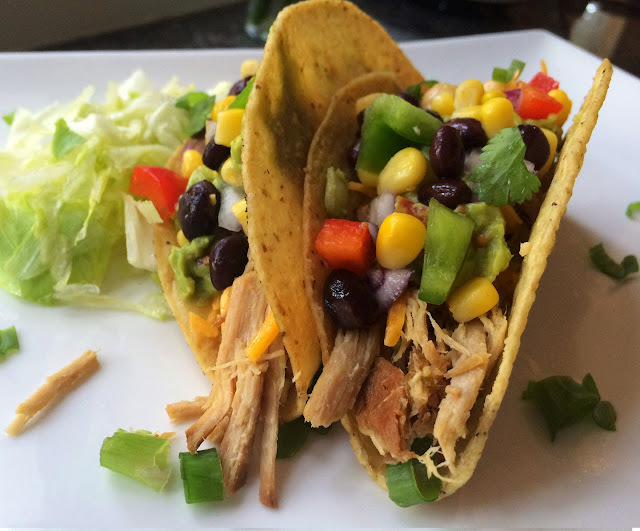 It totally hit the spot, especially topped with with homemade Guacamole and Southwestern Bean Salsa! Of course I added a little extra green onion on top of my tacos because I'm loveeee with their flavor! 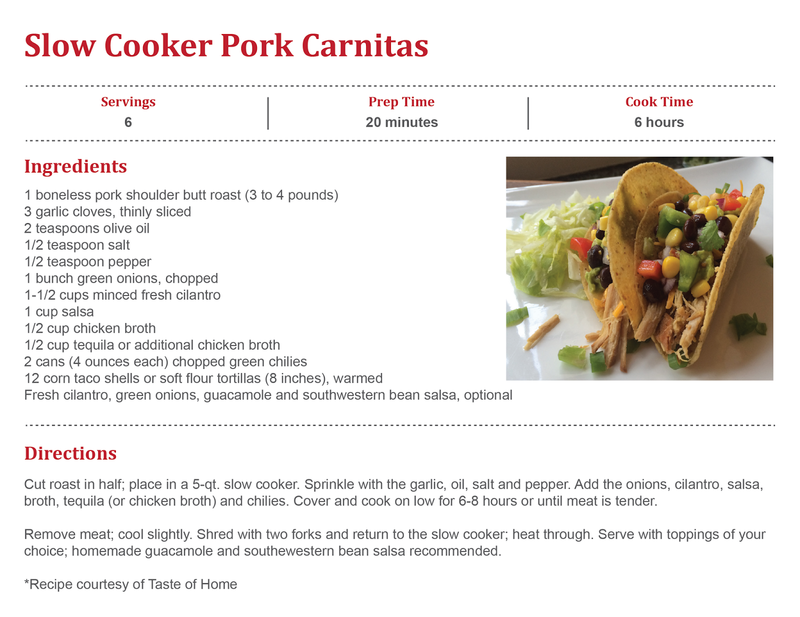 Even though it's too late to start this slow cooker recipe for Cinco de Mayo dinner tonight, it's still a perfect set-it-and-forget-it recipe for busy weeknights or a nice Sunday supper!